At the newly renovated Westminster City Park Recreation Center, Sink Combs Dethlefs and Counsilman-Hunsaker enhanced safety and functionality and developed a “fun factor” for all age groups. 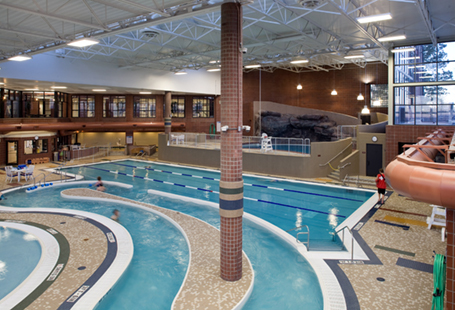 Major renovations include an enchanting indoor leisure pool in a light filled natatorium with slides, a wading pool with water playground, current channel pool, fitness lap lanes, 9’ 6” ft. deep pool with climbing wall, jumping platform, and rope swing. In addition, two new party rooms and new locker rooms with separate family changing rooms complete the aquatic area.